I grew up in Grand Rapids, Michigan and as a youngster I learned about the precious metals and coin business from my Uncle Truman. Uncle Truman came from California every year to visit us on a regular basis. He stopped to visit us on his national tour of coin shows. He was consumed with finding the rarest and most coveted coins and he covered the country in his quest. He arrived at our house in his big blue Cadillac with all the fanfare of a head of state; every year he showed up the newest model! I remember always thinking that he was someone special and a man to be reckoned with. He was a good uncle to me. Every time he visited me, he gave me a coin that had an interesting history. He also included The Red Book of coins for me to learn from. His hope was that I would foster a real interest in rare and unusual coins. There was no doubt that it worked; I was totally enamored with every aspect of this wonderful and historic business. When my family moved to Southern California in 1975, I was in heaven. I could be near Uncle Truman and learn about all the coins he had at his coin business headquarters in Glendora, California. In fact, I started working for him at age 17, right after we moved there. 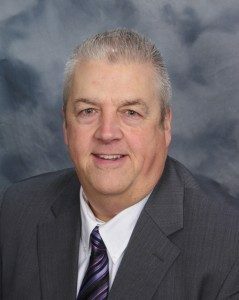 By the time I graduated from Montclair High school 1976, I was regularly attending coin and metal shows, focusing on finding deals for myself and Uncle Truman’s clients. It was there that I found the career I knew I wanted to pursue. It was as if Uncle Truman knew exactly what I needed in life. As time went on, I attended Chaffey College in Cucamonga, CA. While studying for my business degree, I continued working with Uncle Truman until he sold his business to his partner and then retired. I was now in the position to strike out on my own and make a name for myself in the coin and precious metals business. Once I finished my degree, I had the good fortune to work with some of the finest and most prominent people in the business. My first job found me as a shipping clerk for a small regional coin business. I quickly made headway and became the Senior Vice President of Purchasing. Since I had continued scouring coin shows on the weekends, I found some coins that were perfect for the company’s clients. At times I felt like I was Indiana Jones on the hunt for the world’s greatest treasures!At times I felt like I was Indiana Jones on the hunt for the world’s greatest treasures! Fred Weinberg hired me away from my position as Senior VP, to help him with his specialty in fine mint error coins. It was a bit different segment of the market and I learned a tremendous amount of information, including the interesting and unusual mistakes the government made in minting coins! My next stop brought me the blessing of working with Wayne Miller and Steve Contursi. As a collaborative effort, we became THE powerhouse wholesale sourcing of coins for companies that are some of the top firms in the world. By the way, Wayne Miller wrote The Bible of the silver dollar called Analysis of Morgan and Peace Dollars. This is THE authority of these beautiful and valuable coins. Steve Contursi recently was instrumental in identifying America’s oldest silver dollar, and arranging the sale of the world’s most valuable coin at almost $8 million dollars! Wayne, Steve and I had a consulting relationship with James Blanchard of Blanchard & Co. to provide him with the finest coins available. We were providers of coins to many businesses in the region. During this time, I also sourced the majority of coins for Marc Crain of Marc One Numismatics. Our relationship blossomed and I found myself being drawn back to scouring the country for unique and profitable coins for Marc’s clients. Interestingly enough, in 1998, I flew to Minneapolis to review a very rare collection that belonged to a prominent businessman’s estate. It was an enormous collection that had extremely rare and coveted pieces. It was a very intense purchase as I needed to confirm that these coins were the real McCoy, along with establishing the proper valuation, both for the estate and for Marc. It took me over 5 days to complete the analysis and valuation. Eventually I made the purchase of this esteemed collection. During those five days, I found the Minneapolis St. Paul area a welcoming and inviting community. I decided to move to the area; that was 13 years ago and I am still here in St. Paul. Over the past 13 years, I have continued to do, wholesale business with Marc One Numismatics. This business alone, accounts for over $50,000,000.00 in sales. Ultimately, I realized that I wanted to help people preserve and grow their wealth, just like my Uncle Truman did. 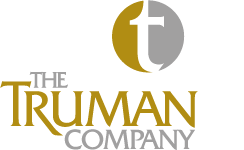 That is why I started my firm Truman and Company. My staff and I are dedicated to give you the benefit of my experience and expertise and pledge to help you build wealth and safety for you and your family.